An aerial photo of Metro Manila has recently made the rounds on social media for two reasons: one, showing just how congested the city is, and two, for showing just how little greenery there is left in the urban landscape. 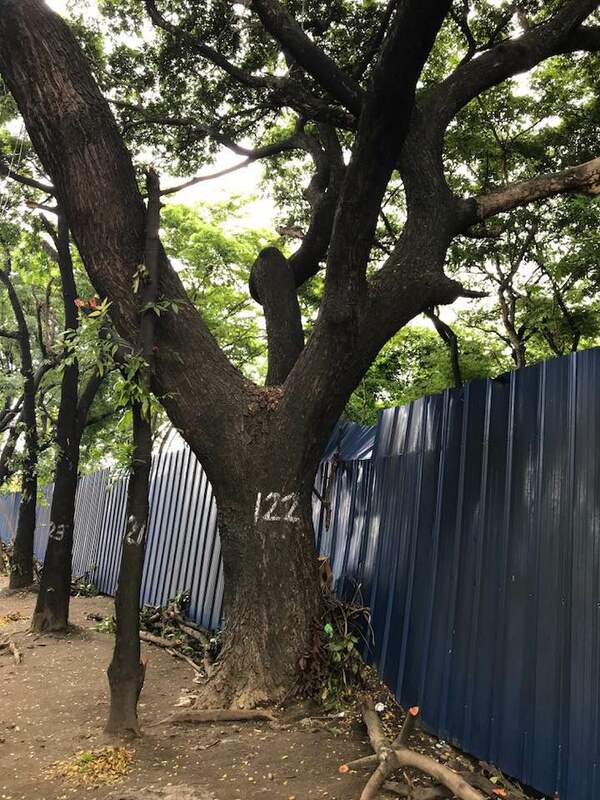 What little patch of green we have in the city will be shrunk further with a road-widening project in Taguig that is set to rid of 487 trees lined up along Lawton Avenue connecting Fort Bonifacio to Villamor Airbase. The Bonifacio-Nichols Field Road (Lawton Avenue) widening project Phase 2 spearheaded by the Department of Public Works and Highways (DPWH) is expected to ease traffic and reduce travel time from Bonifacio Global City to the Ninoy Aquino International Airport. 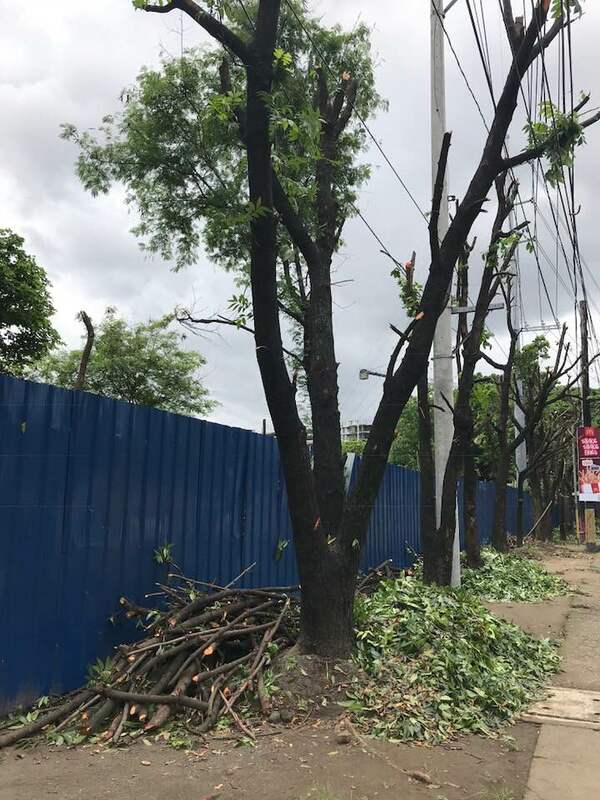 The Department of Environment and Natural Resources has approved the move to cut down trees including some mature hardwood trees like mahogany, molave, and narra, and earth-ball young trees dotting Bayani Road and Sales Interchange in Fort Bonifacio. 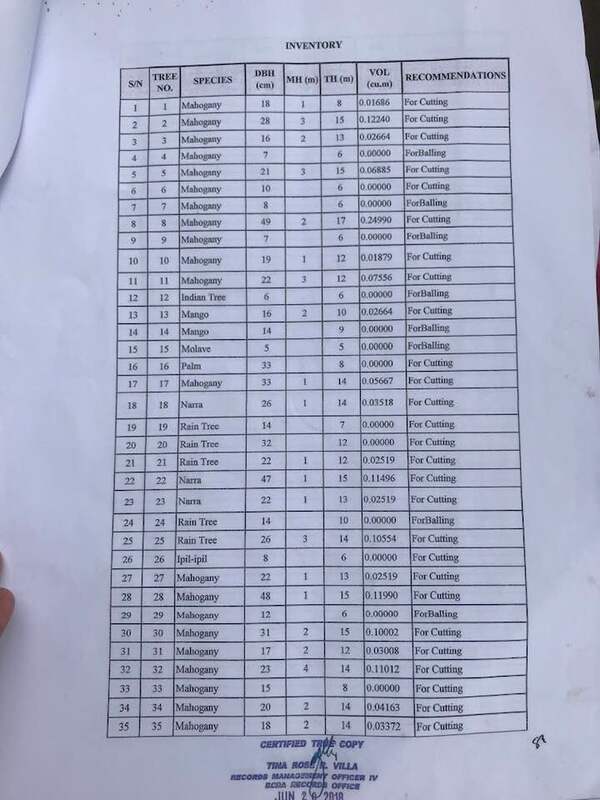 According to a report by the Inquirer, some of the mahogany trees which will be chopped down are already 15 meters tall with trunks that are almost 50 cm in diameter and are estimated to be at least 25 years old. 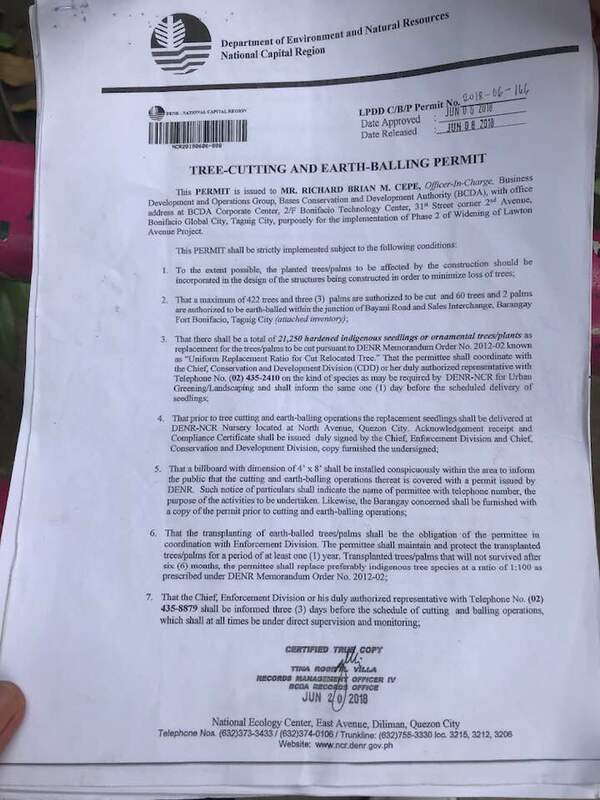 The DENR permit signed by its National Capital Region Director Jacqueline Cancan authorizes the Bases Conservation and Development Authority (BCDA) to cut down 422 trees and three palms to be cut along with 60 trees and two palms which will be earth-balled and transplanted to another location. 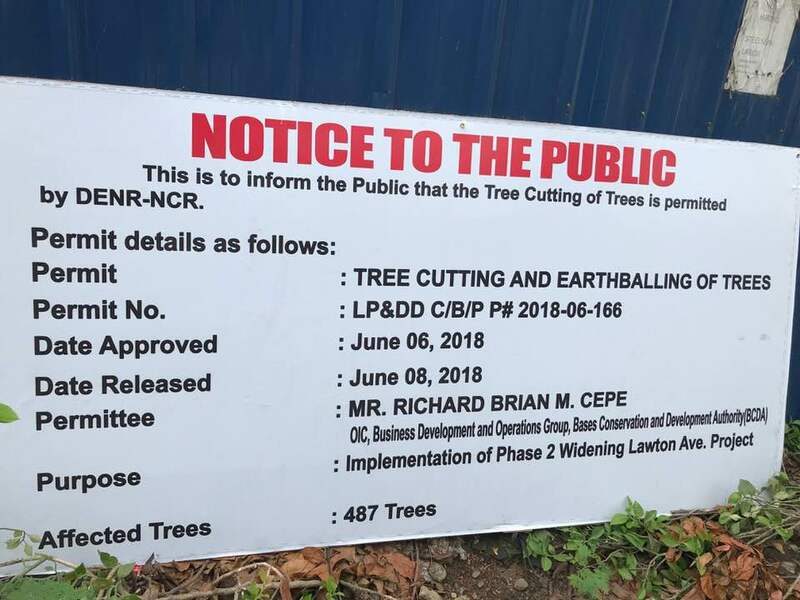 However, part of the permit only allows them to do so given that they will replace the transplanted trees that will not survive within six months of being relocated with 100 seedlings of indigenous tree species. This is in compliance with the DENR Memorandum Order No. 2012-02 known as the “Uniform Replacement Ratio for Cut Relocated Tree” which also orders BCDA to plant a total of 21, 250 hardened indigenous seedlings or ornamental trees/plants as replacement. The DENR confirmed that the replacement seedlings were ready as early as three weeks ago. The first phase of the Bonifacio-Nichols Field Road (Lawton Avenue) widening project which started Aug. 21 last year is expected to reduce travel time from BGC to NAIA to 15 minutes.